Out of all the creatures on the earth, it tends to be the cute and fluffy ones that wriggle their way into our hearts. Their big eyes and soft bodies make us want to cuddle and coo at them all day, with them becoming our furbabies. However, we should really spare a thought for the less fluffy of animals, like NextGen Gaming have done inside the tiles of their Snake Charmer scratchcard. Riding on the back of a good slot machine, the brand decided to remove the complication of paylines and replace them with a 9 squares interface. It removes the longevity of the action and narrows it down to quick playthroughs, where you find out in seconds whether you’re a winner or not. NextGen Gaming is known for its slot machines, with that being one of their main products that sells, both online and offline. However, this isn’t the only string they have to their bow, as Snake Charmer illustrates quite clearly. They’re able to produce iGaming products that play across Android and Apple devices, with the convenience being that we can zone in and out as we choose. The games of NextGen are still being churned out as we speak, with the label making gaming headlines on what feels like a daily basis. And while it’s true that this particular title hasn’t been in the news for some time, that doesn’t mean you won’t enjoy how straightforward it is. Looks wise, this is a scratchcard with a lot more visual appeal than some of the other examples we’ve seen; Snake Charmer has an exotic landscape to perfectly frame the unscratched tiles of the cartoony snake. The design has been crafted to make the tiles the centre of your attention, while the controls are basic to speed up the gaming process. The only real downside any of us can see is the lack of special features, as they tend to have no place inside the squares of scratchcards. That being said, you can score some free games by playing this title then transferring over to the slot version. It’s not hassle free as we’d like, with us preferring bonuses inside the interface of one game instead of another, but. if nothing else it, encourages us to discover other titles from NextGen. 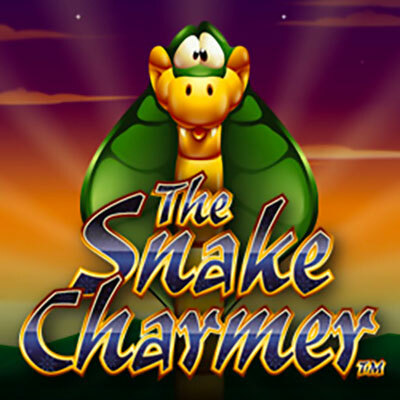 As far as online games go, Snake Charmer isn’t going to blow your mind or win many awards. It’s a basic package, dressed up to look pretty and do a quick job of earning you real cash. That’s part of its allure, part of the reason we love playing it. However, at the same time it holds the game back as there’s little else we can do once we’ve played through the niche paytable. Consequently, we’d like to point you in the direction of other activities from NextGen Gaming, where reels and live dealers can be found. This in turn, goes some ways to emphasise how far the brand will go to make its customers happy.